Become a member of Las Villas del Norte. We provide you with online presentations, how to videos, and publications to help you find your ancestors and leave a legacy to your children, and their children. Get our digital news letter every 3 months. It contains everything that is published on our website and more. Everything you need to learn about DNA Testing for Genealogy in one convenient place. Get access to a recorded live presentation every month. All topics are genealogy related plus archives presentations. Hundreds of links to all the genealogy resources that you will ever need to grow your family tree. Get our yearly digital journal for free and also publish your articles and family stories on it if you so desire. Access our 8 module course that includes over 20 lessons. At least two members only posts are published each month. Meet new friends and talk about genealogy! Half of our recorded presentations, and all of our how to videos cover general genealogy topics. The other half of our presentations are focused on Texas and Northeastern Mexico genealogy/history. Our newsletters and journals cover mostly the genealogy of families from Texas and Northeastern Mexico. Even if your ancestors did not live in Texas and Northeastern Mexico you can still learn from our presentations and how to videos. From our publications you can get ideas on how to research and or what records to search for in your own research. 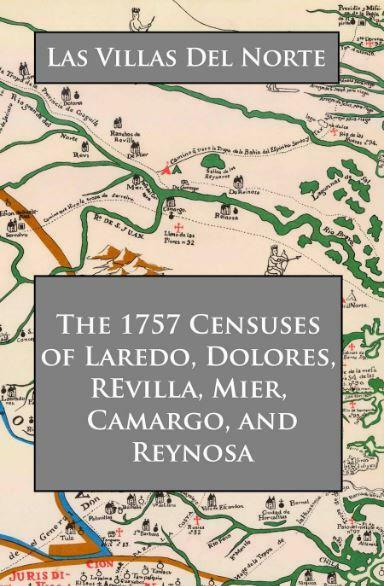 ​You will get the printed and digital versions of our book "The 1757 Censuses of Laredo, Dolores, Revilla, Mier, Camargo, and Reynosa". You will get the digital version of our journals plus over twelve digital quarterly newsletters, and get new ones as they come out. You can be reading these books as soon as you join. Discover your ancestors and find out who you are. When you join Las Villas del Norte you will get the PDF digital version of this eBook. It will provide you with everything you need to help you find your Mexican and Spanish Colonial Ancestors. Easy and simple instruction for searching, collecting, and sharing genealogical records. Excellent links and resources for discovering a wide range of vital, religious, and civil records. Learn how to research in news papers, social media networking, and tracking down military service records. 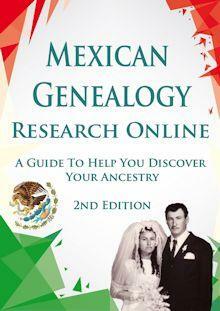 This ebook presents information in a clear and concise manner and everything you need to know about Mexican Genealogical research will be right at your finger tips. We offer three types of memberships so you can choose the one that is right for you. The Printed Journal and Newsletters plan. If you don't have a credit card you can print out the Membership Request Form and mail it in with your payment as a check or money order. Your membership will start once we receive your application. * Our payment processor is PayPal. They are secure and we have fully tested them. Also be aware that your yearly subscription will auto renew each year unless you cancel. Also please note that memberships outside of the Untied States are only digital content. We can not ship books or newsletters outside the United States.